Since it was launched, a one million pound fund from Telford & Wrekin Council is bringing new life to the borough’s High Streets. The ‘Pride In Your High Street’ fund is helping kick-start new events and bolster existing ones, supporting retailers and delivering improvements to community buildings and the high street environment, Through this support the Fund is strengthening communities and encouraging more visitors and spend in our high streets and borough towns. Food Frenzy and Italian Food Festival in Newport. Both events were held in the summer and were so successful, they promise to be back, bigger and better next year! Social Enterprise Wavelength Pop Up Shops. These pop-up shops rented out sales space to small craft businesses. 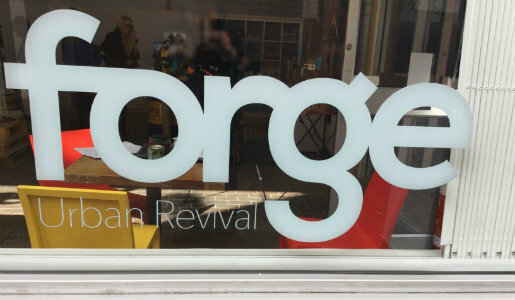 Its first one, ‘The Forge’, used an empty retail unit in Wellington and was so popular, it has moved to a permanent base in the town. ‘Good2Great’ received funding to help them provide training to our High Street businesses in areas such as retail and hospitality excellence, successful selling techniques and market testing – all designed to improve their turnover. ‘Good2Great’ have given training to more than 50 businesses so far. Madeley War Memorial. The refurbishment of Russell Square and Russell Green has created a larger, more accessible and attractive civic space. Telford & Wrekin Council was keen to ensure all the borough’s High Streets got their fair share of the fund. After a first round of bidding, there were five areas (Donnington, Oakengates, Newport, Wellington and Dawley) which had submitted fewer bids and had been allocated less than the rest. A new hub in Wellington and a new food and entertainment festival for the town in 2017 which could become an annual event. A programme of improvements to the shops and environment of Dawley High Street. The success of the ‘Pride in Your High Street Programme’ will be formally recognised at the meeting of Telford & Wrekin Council’s Cabinet on Thursday 17 November. After all second round projects have been completed, any money remaining will go towards future high street projects.